Across from the cafe/ancient Gite, a concrete confirmation(and aren’t those the best kind?) that kitsch is universal. An old train station has been converted into mutiple arts n’ crafty …dare we call them “boutiques?” Hey – why not! After thrilling to these down home country attractions, it’s time to drink in more of the Luberon National Park’s wonders. And, happily, this wonder is just down the road. And you can get a (small) drink there. for FREE! Yes, dear reader, yet another “Cave Co-operative!” She belonging to Bonnieux, where you will next be adventuring. By now, you, a cave co-operative veteran of (at least) Coustellet and Lumiere need no instruction, prompting or skill testing questions to know what to do! After doing what needs to be done and gaining an enhanced appreciation for the Luberon’s liquid treasures, the road will, as you have no doubt anticipated, begin to make like yeast. And soon the village of Bonnieux will be looming medium large ahead. Bonnieux, like it’s hilltop cousins “dates back to Roman times.” So, if you’re inclined to wander about (you are – right?) you’ll find no shortage of evidence of the passing of the ancient conquerers. The “lil’ B” (pop – about 1500) also sports a cedar forest. Them thar trees being imported from North Africa during the Napoleonic era. Sadly, due to the fact it’s in every “most-beautiful-villages-in-france-you-must-see-or-be-a-total-loser” guidebook, the prices are equally imposing. Unless, of course you’re already good with dropping 6 euro ( about $7.80 U.S.) for a postage stamp cuppa joe. Now, I’m not saying give Gordes a miss. DA BG’s advice is: 1) Visit off-season (middle of May/last week September 2) pack a lunch 3) bring something wonderful from your cave co-operative adventures. 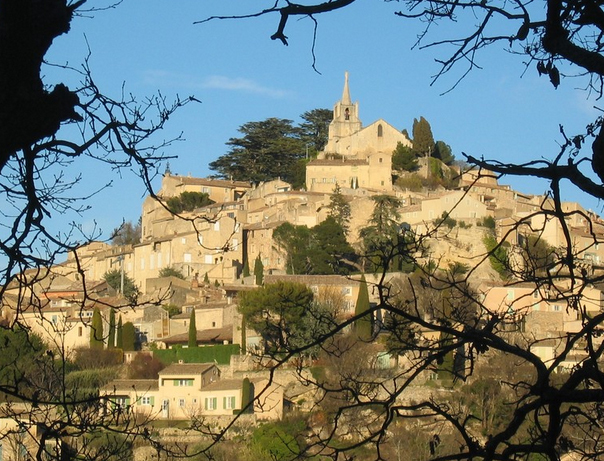 More hilltop villages another time – but this should get you started on your French Country Travel Life Village Tour – n’est ce pas? i agree with your statement about gordes..defin itely “imposing” in every sense. thanks for the “heads-up” about the coffee prices! I hear you Samantha …but i think most of us expect high prices from places that are well known. bonnieux would be my preference – not gordes. 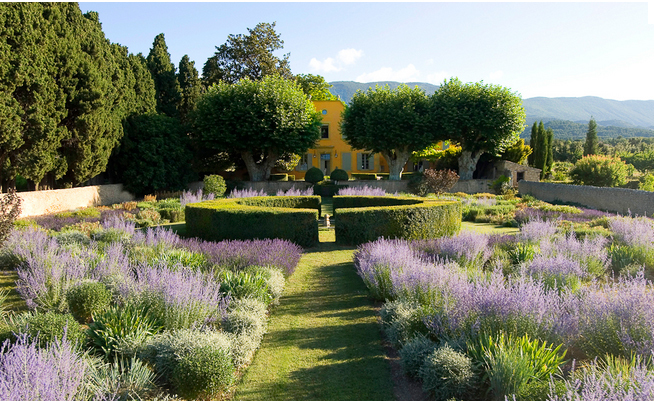 love the opening photo..can almost smell that lavender! 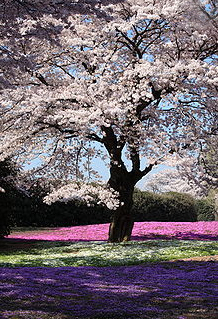 that photo of the cherry tree is pure meditation! with these three exceptional posts – you’ve given us an early east present even better than a huge chocolate egg….a fabulous initerary!…i for one will be taking action! you saved me from saying it david..(and said it better) i would have PAID to get real down to the ground info like this. BG – long may you reign to write! i too would very much like to visit those gardens, with something nice from the bonnieux cave-co-op! gee…never heard of a cafe that also does dry cleaning….could DA BG be pulling our legs here? love the way you state the obvious in such a funny way…”dates back to roman times”….hey, i guess pretty much all of europe alos “dates back”..yeah? i’m a writer…not yet “an author”..and i am constantly in admiration of the way you use colorful descriptions and subtle turns of phrase to drive home a point. like “descending the WONDERING heights…” little touches, yes, but, so essential for creating atmosphere. reading you is instructional. but FUN instructional. many thanks! this is a region i was aware of…but not in such wonderful detail. we will certaintly be following your itinerary when we visit france this spring! bravo for this excellent post! sure don’t need travel guidebooks with you around. this looks like one great circuit…and i’m gonna try it. thanks BG! some really great information here…i especially agree with you on when to visit….summer is just a bad idea ..almost anywhere in europe. very cool stuff man! you reallt got the lowdown on this place…and dig your info on the wine..;rad!..definitely worth checking out. 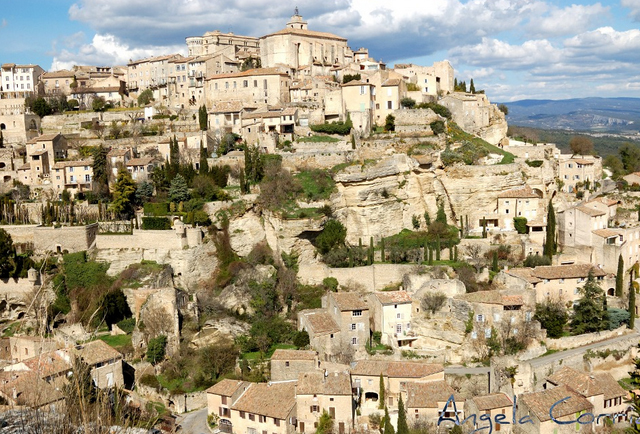 you described gordes as “imposing”…from your picture my adjective would be “GINORMOUS! valerie….you DO have a way with words. 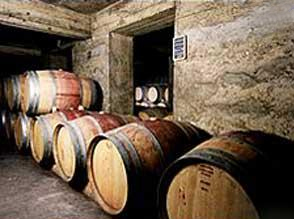 fab series of posts…really appreciate the wine co-op info. if only we had something like that here! neil…..what about us beer drinkers?….what has france got to offer us? a wonderful tour..this series…..all too short…..however you did threaten us with more hilltop villages. a threat we will hold you to! i’ve been a reader of yours from day one…and i can’t tell you how much your posts have done for me…so much information!…and so humorously presented…..this series is another great example of the truly unique BG style. keep it coming!!! say jack…..you’re not jealous that DA BG doesn’t dig your sparkling wit enough to offer you some cash – are you? these last three posts…this series….well….all i can say is i just want to jump into those photos and get started! i hear ya ellie!….what we all need is the transporter beam from startrek! sean…you mean to tell me that in this age of amazing digital technology..we don’t yet have a transporter beam APP? very fine you should make these post to let peoples know france is more than the eifffel tower and mont st. michel. looking forward to more of these “virtual tours” from you. this one is fabulous! lucy… up you to take it from “virtual” to “been there – done that” – right? bon voyage! 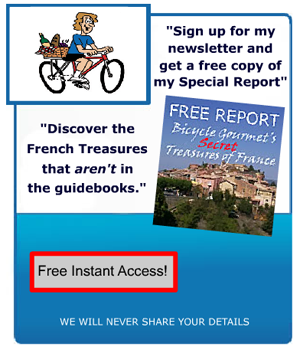 as one of your other readers noted…..we’ll hold you to your “threat” of more posts on france’s hilltop villages! as you may know we have many famous hilltop villages here in Italy… perhaps your readers would be interrest to know of one i like very much..montefalco…maybe sometime you will do a post on it…like these ones….which we have enjoy very much. thank you bg. mighty fine! with a capital “MF” – this entire series;;can’t thank you enough for opening such a big window on the “real” france. way to go BG!